Click here to follow Titanium Fireworks North West’s Facebook page. Hi, my name is Sam, I’m your Regional manager for Titanium Fireworks North West. Let me tell a little bit about myself. I’ve been passionate about fireworks my entire life, from putting on back garden firework displays for my family and friends to working professionally on some of the biggest firework displays the UK has to offer. I’ve worked for Titanium Fireworks for two years now, they have given me the opportunity to pursue my passion for fireworks further. 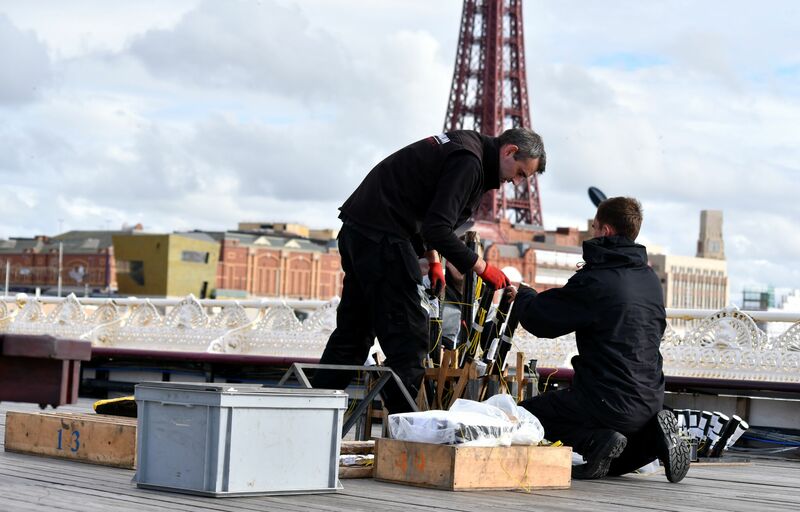 Titanium Fireworks are renowned for delivering some of the biggest displays in the UK. My personal preference is the smaller more intimate shows where I can really work with the client to ensure they get a beautifully designed display for there special occasion. I will never forget the moment I managed a firework display right through to completion from the first client meeting to the look on their faces when the last firework went bang! As a local lad I’m exited to be able to bring the passion, skills and expertise of Titanium Fireworks to the North West. Titanium Fireworks North West has been setup to utilize the experience of local crew with local knowledge, also to have the right equipment in the right place. This logistically brings down the cost of putting on a display for your special occasion in the North West, so we can make having a firework display more affordable without compromising the standard of display Titanium Fireworks has become known for. So, whatever your budget Titanium Fireworks North West will work with you every step of the way to ensure your special day, whatever the occasion (cue the cheesy line) goes off with a bang!